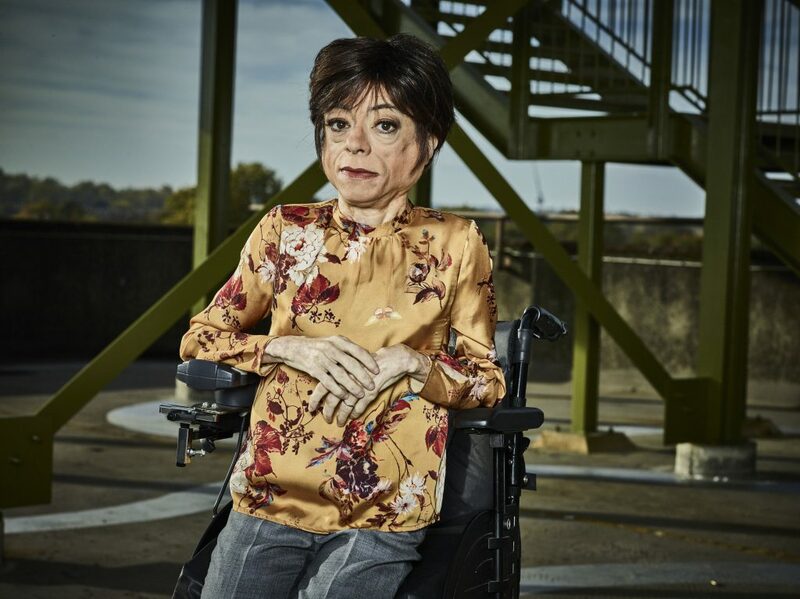 Having attended an advance BAFTA preview of a special edition of Silent Witness, which features Liz Carr centre stage and a storyline addressing disability issues, Mik Scarlett argues that we are about to witness a watershed in disability representation on Television. The two-part episode ‘One Day’ airs on BBC One 29 and 30 January. Television is, to use an old football adage, a game of two halves. In the first there are programs that come and go, grabbing public attention like a firework. It’s all “ohs” and “arhs” before it’s all forgotten. In the other half there are old stalwarts. The soaps are perfect examples, shows that have burrowed into the public psyche so deeply that it’s hard to imagine there was ever a time when they weren’t on our screens. Another show that has achieved this status is the crime pathology drama series Silent Witness. The BBC programme began back in 1996, following the work of Pathologist Sam Ryan, played by Amanda Burton, as she battled to solve crime and manage her complex love life. I must admit that I have been a fan ever since back then. I was over the moon when, after a drunken night with one of the series directors, I did a cameo as a featured extra in an early episode. I earned a few quid, had a free lunch and had the excitement of being on a show I loved watching. Great for my bank balance and waistline, but it didn’t exactly mark a step forward in the portrayal of disabled people in TV drama. Fast forward to 2013 and series 16 of the show, with a cast now led by Emilia Fox playing Nikki Alexander, David Caves playing Jack Hodgeson and Richard Lintern who plays Thomas Chamberlin, in rolls comedienne and actress Liz Carr. Finally, a UK crime drama started featuring a disabled character. Liz plays lab assistant and tech wiz Clarissa Mullery; a character with an acerbic wit and a collection of stunning shoes. In series 16 Clarissa didn’t give Liz much chance to flex her acting muscles and there was a worry – which Liz herself admitted to – that this might be another case of tokenism. Slowly this fear began to fade, as Clarissa became a vital part of the show’s core team. Each series, Liz stretched and pushed the barriers of the stereotypes of what a disabled person is. 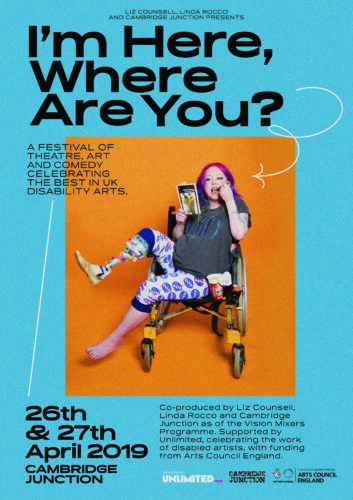 Sharply dressed, acutely intelligent, funny and married – Clarissa is the disabled character every disabled person in the UK, perhaps the world, has been waiting to see. Now, as series 21 is drawing to its end, the show takes Clarissa and the programme’s commitment to inclusion a leap further. On Monday 29th and Tuesday 30th January 2018 the double episode ‘One Day’ revolves around two disabled characters and places Liz’s acting skills front and centre. Obviously, I can’t say too much as I would hate to ruin a show that will hold a place in the history of television as a sea change in the portrayal of disabled people, but I must say don’t miss it. I saw the thrill packed, tear jerking two-hour programme at a BAFTA screening this week and as the credits rolled I knew I witnessed the glass ceiling for disabled talent finally being broken. The two new actors, Toby Sams-Freidman and Rosie Jones, highlight that there is new disabled acting talent out there ready to set the screen alight, but the true accolades must go to Liz. I’ve watched Liz grow as an actor with each series of Silent Witness, but in ‘One Day’ Liz’s talent soars. 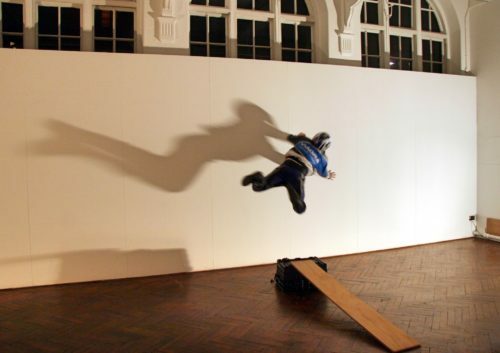 She captures the unspoken fears of most disabled people and becomes the true hero of the piece. Her performance will take her into the realm of the actors who can hold your fascination like it’s in a vice. The joy I felt as this heart-breaking episode came to its conclusion, stems from seeing Liz shine. For so long I have been working in the television industry and campaigning for better portrayal of disabled people played by disabled talent, but these requests have been mostly met with cries of “where’s the talent?”. Yet, in ‘One Day’ we see all the casting directors and producers claims that there are no quality disabled actors get shot down in flames. Liz proves given the space to grow and script that gives an actor something to develop, disabled actors can achieve everything their non-disabled counterparts do. I’d even say more so, as the balance of strength and vulnerability Liz brings to Clarissa in ‘One Day’ is something rarely seen in TV drama. ‘One Day’ does cover a lot of disability issues on one swoop, but that’s drama for you. 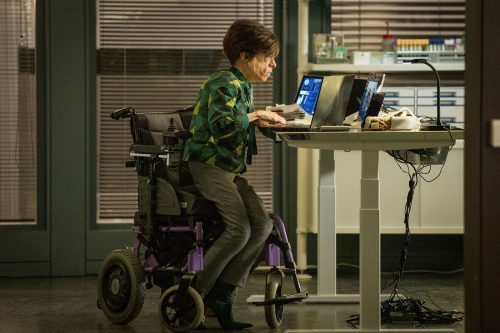 The episode’s writer Tim Prager promises that this is not Silent Witness “doing disability”. He is keen to write more disabled roles and is calling out for disabled writers to join the programme’s writing team. There seems to be a real change at the BBC around disability, with a commitment to having more talent both in front of and behind the camera. The BBC have woken up to the fact that disabled talent can make their output exemplary and gripping. I really hope that this does mark a real change. Whatever, it definitely marks the rise of a new star. Disabled people couldn’t ask for a better champion. Colin Hambrook reflects on the special edition here. Visit the Silent Witness page on the BBC for more information. Liz please don’t stop, And BTW give us a clue, you must of filmed it by now! I’m a 64 year old registered disabled stroke survivor with mobility challenges. I’ve been searching for a while to describe my feelings of vulnerability left by my stroke. I watched Silent Witness last night and the scene where Clarissa holds back from entering the nursing home provided me with a perfect example to say to my wife,”that’s exactly how I feel”. Well done to all concerned and especially Liz Carr for an excellent show.